Lower Stratford Homes are located in the coastal community of Del Mar, California. Lower Stratford is an area that is located near the ocean front and situated off the road Stratford Ct that runs parallel with the ocean. The distance between the ocean and Stratford Ct is normally around 10 homes on each of the street with a combination of single family homes and residential condos. This is the very south end of town and considered one of the most desirable locations due to being so close to the ocean. One of the biggest condo buildings in this area is the Del Mar Woods condo complex. 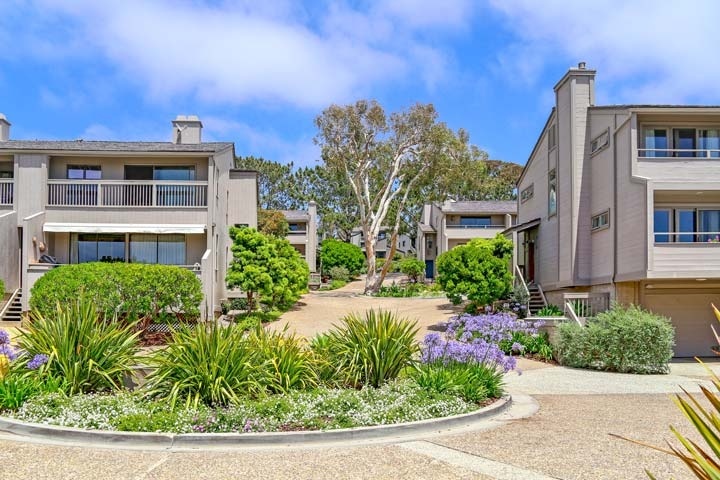 Del Mar Woods has a combination of ocean view, ocean front and beach close town homes and is pictured above. Properties on the ocean front rarely come on the market but typically sell well above the million dollar price point. The community has a nice association pool and other amenities and is a great place to live. Below are all of the current available Lower Stratford Homes for sale in Del Mar. Questions regarding this area and any of the homes listed here? Please contact us at 888-990-7111 today.